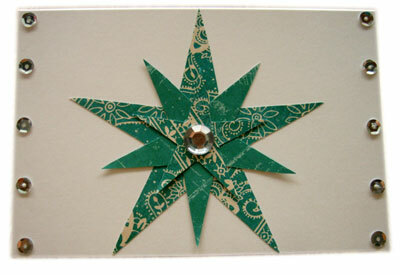 Homemade Christmas card ideas don't have to be complicated. Simple designs can be striking, and of course are much easier to make in bulk! 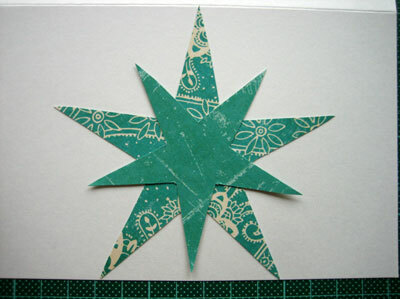 On this page I'll show you how to make a simple layered star to feature on a card. 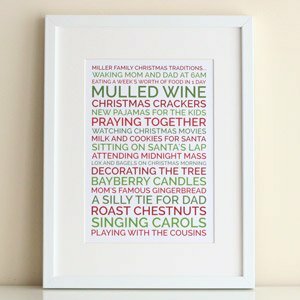 I've made a printable template so its super easy to make. 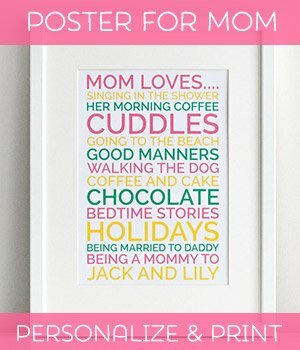 And don't forget to check out the photo gallery at the bottom of the page for links to more easy homemade card and gift ideas. 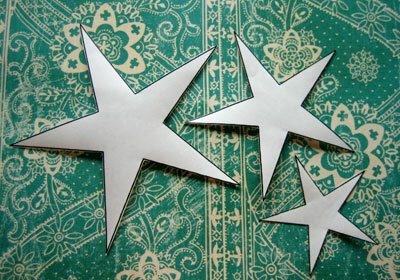 Print out the star template and cut out the three shapes (these are your star templates). 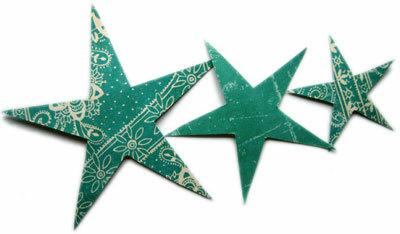 Trace around the templates onto patterned paper, and cut out the stars. 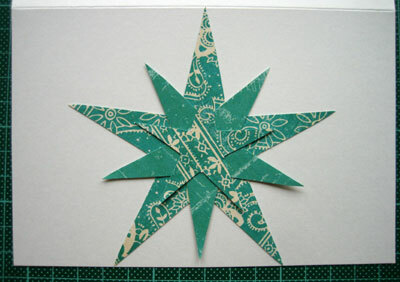 Here I have cut the largest and smallest star from the same pattern, and the middle sized star from a plain complementary coloured paper. 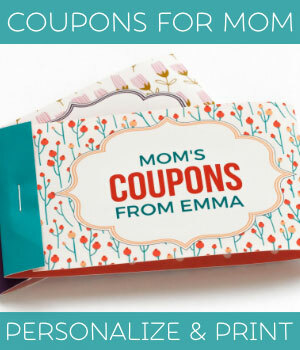 Just have fun with it and use up scraps of paper from around the house! 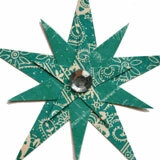 Measure the width of the largest star (about 4 inches, but might vary on your printer). Depending upon the shape of card you would like, you just need to make sure that its big enough so that the largest star will fit on the cover (!). Measure up and cut your card-stock accordingly. 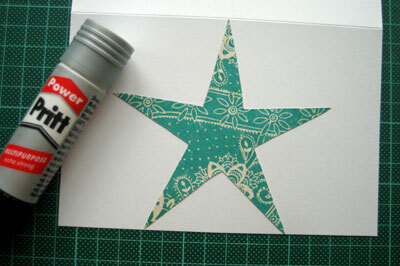 Glue down the largest star onto the front of your card. 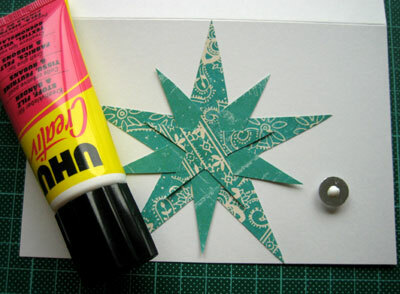 Now glue the middle-sized star onto the center of the large star. Rotate it slightly to give a more layered effect. I have only stuck down the center of the star, so the points are not stuck down. Now you can stick down the smallest star onto the center of the other stars. Again, rotate it slightly so it is offset from the middle star. So now you get to sparkle-it up a bit - my favourite part! I bought a pack of cheap plastic rhinestones from my craft store, and they are a perfect feature for a card like this. Its simple to just glue one in place. Or add some sequins... just have fun! And now you are done! 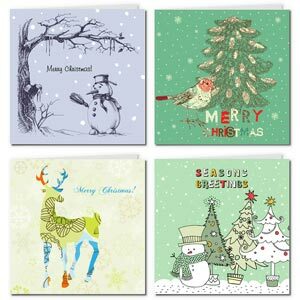 Wondering what to write in your cards? 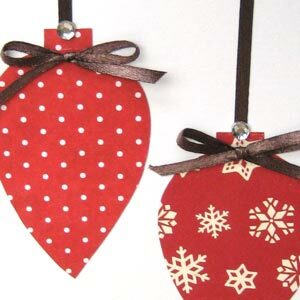 Or check out my full list of Christmas craft tutorials.